Trinidad Castillo of AAIICC gives her thoughts and reflects on the Let’s Dance project. Thanks to Let’s Dance, I was able to confirm something that was taken for granted and that has been strongly evident throughout the creative process. This project has been a rich experience in the discovery of the wide range of possibilities offered by working with a large group of people (30 people), each of whom has been able to express their emotions, feelings and ideas through dance, from the depths of their being and their experiences, regardless of their limits of mobility and artistic training and with a range of colours, shapes and rhythms as different as each one is. 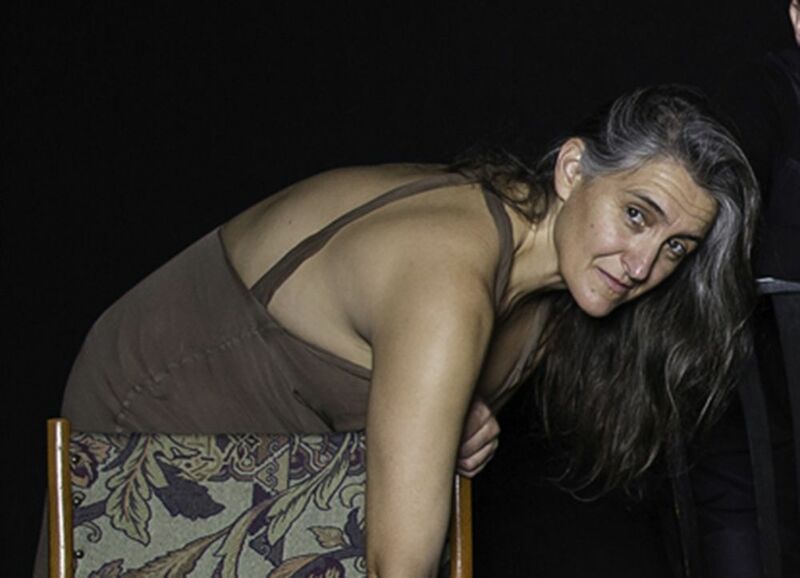 Community Dance opens a space of expression in which in dance theatre is of great importance. In dance theatre it is possible to dance with a gesture, a look, a word and even an intention. Having these simple and subtle forms of expression is of equal value to that of a complicated composition of movement. In dance theatre the resources of expression are open to the imagination of each person, and every proposal that the participant shows is valuable, as long as he realizes it consciously and it is from his genuine feeling. Through Community Dance it is possible to integrate people of very different ages (from 15 to 50 years old), backgrounds (students, professional dancers, actors, actresses, artists, musicians, singers, doctors and housewives), and nationalities (German, Dutch, English, Italian, Ecuadorian, Colombian, Egyptian, etc. ), and giving them the opportunity to offer the best of his or herself and share it with others in the form of expressive dance. STEP 1: Proposal, improvisation and search. Starting from a given premise (a word, a phrase, a sound, an image, etc. ), each person seeks the most genuine way to give life to that idea through the movement or the word. STEP 2: Set a sequence of movements. Each individual chooses the movements or sequence of movements that he wants, and tries to create and execute them in the cleanest way possible. In this phase the choreographer can add a music that enhances the expression of such movements. If it is not necessary, the music is ignored and silence is used. STEP 3: Joint choreographic composition among all countries. 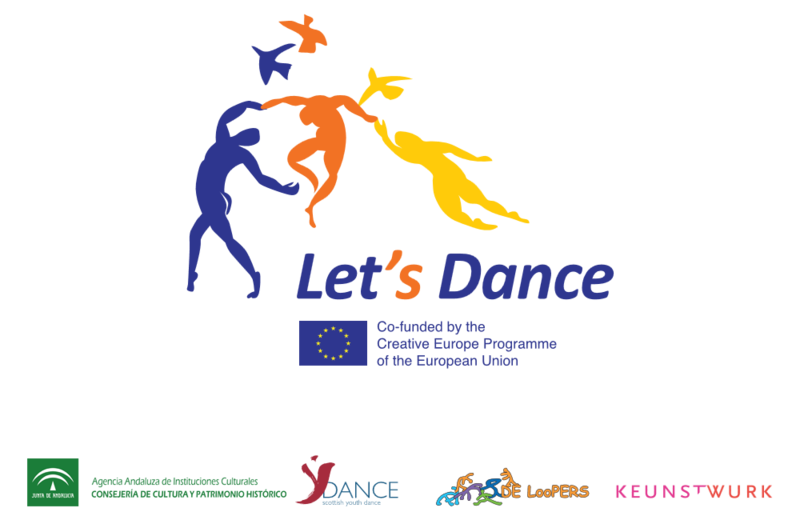 During the exchanges to each country (Holland, Germany, United Kingdom and Spain) an exchange of choreographic creation material was carried out in which each group showed and taught their work through dance and dance theatre, on common concepts for all the groups, around the subject of Migratory Movements. Later, a final choreography directed by the choreographers, was created in which all members would take part and their individual work was reflected. At this stage it was very surprising to see how often, without the help of language (for many of us do not know English) were somehow able to communicate, to agree and to dance harmonically, making the sequence of movements of other countries . Let’s dance was a great challenge to be able to agree the five choreographers of the four countries, each with their own idea and choreographic material, to create a final composition, with which all five were satisfied, and in which all the participants were well represented. It has not been a simple task, but a very constructive one of learning and understanding. In my opinion, the strength of Community Dance and dance theatre resides fundamentally in that it shares the same essence as the dances that for centuries people have danced since the origin of man, in which all its inhabitants could express themselves by dancing in a natural and healthy way, and that is something that pleases everyone.